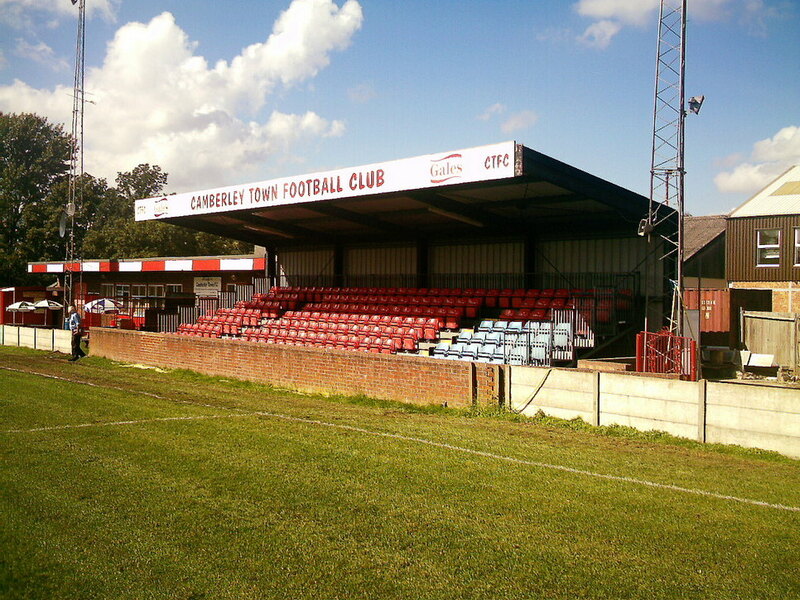 Cherry Red Records Combined Counties Premier League side Camberley Town has launched plans to build a new stadium and five a side centre. The club’s plans, which have been submitted to Surrey Heath Borough Council, will see a 200 seater ground which also includes a clubhouse. The council will not make a decision until February however a group opposing the new stadium, The Friends of Crabtree Park, has already begun fighting the proposals. The application has been made under Fusion X Soccer Centres Ltd, the company owned by the club’s chairman Ronnie Wilson and as well as five-a-side pitches will feature a three-quarter size all-weather pitch, which the club said would be open to 'community use'. The club’s links with its current ground Krooner Park go back over 90 years.